Laura Apsit Livens Headpiece, from her Bulls are Colourblind Collection. 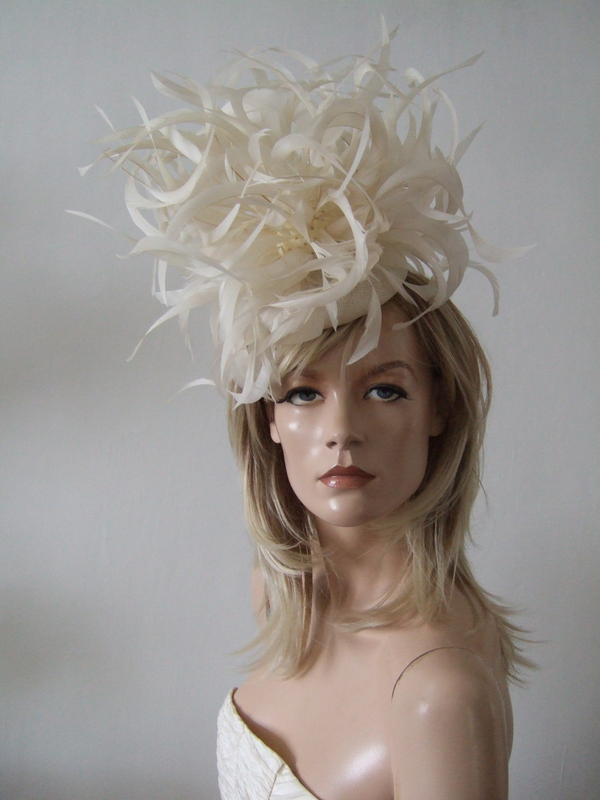 An Ivory Button Headpiece base, dressed in a huge Pom Pom of twisted trimmed ivory coque feathers. Base Measures 5.25" x 5.25", and decoration arrangement height 8.5".